Jennifer Hammond grew up watching her baseball idol Cal Ripken, Jr. and daydreaming at shortstop about one day playing professional baseball. While she didn’t quite make it to the bigs, she continues to play the game she loves with the Eastern Women’s Baseball Conference (EWBC) and local recreational men’s teams (primarily C, P, and OF - earning the nickname “Miss Utility” for her flexibility on the field). 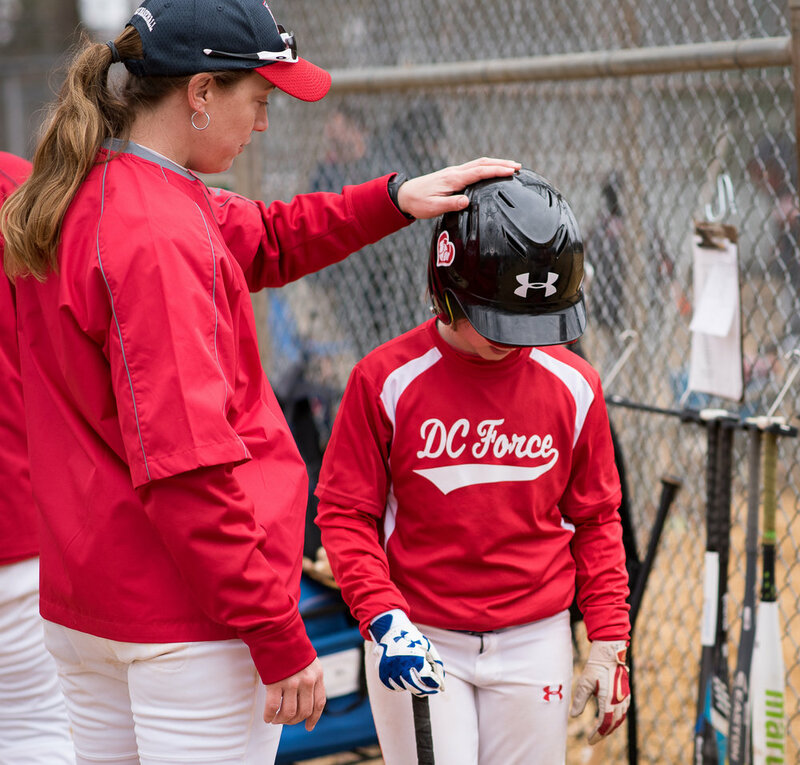 Jennifer has assisted Coach Dudley with managing several men’s recreational teams - and currently serves as Coach of the EWBC’s Virginia Flames; Assistant Coach of the DC Thunder Tournament Team; and Associate Head Coach of the Falls Church HS JV Baseball Team/Varsity Assistant Coach. She was thrilled to read about DC Girls Baseball and to meet its founding members - and is blown away by the organization’s growth and the boundless energy and enthusiasm the girls bring to the field. Like Coach Dudley, Coach Hammond is thrilled to share her love of the game with the next generation!